13438 -Jigsaw puzzle with 3000 durable pieces. -For ages 8 and up. 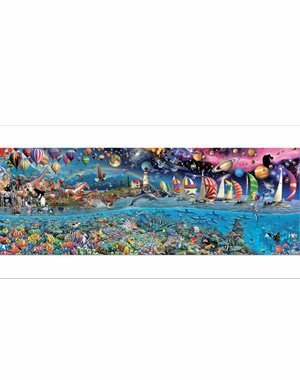 -This puzzle is the smaller version of the 24,000 piece Life puzzle by Royce B. McClure.